Madison Square Park is a true oasis at the crossroads of three major thoroughfares in mid Manhattan. 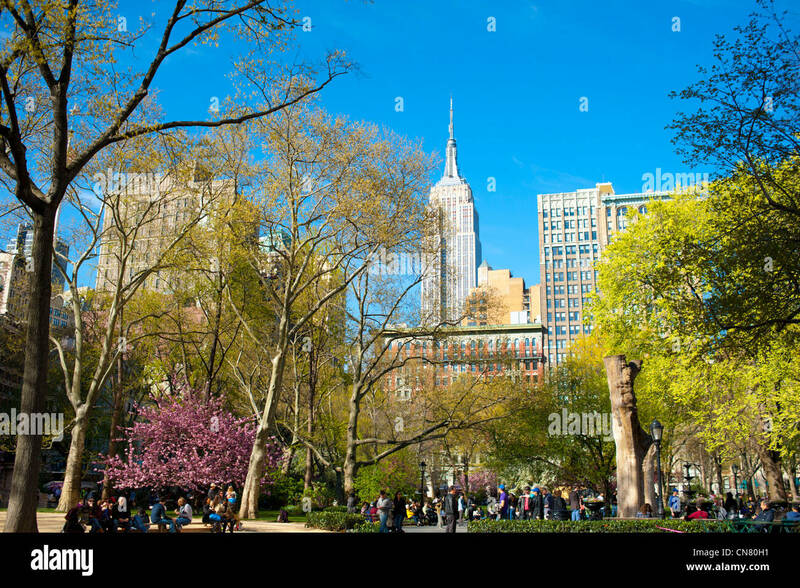 At the intersection of 5th Avenue, Broadway and 23rd Streets is a garden filled with beautiful trees, sculptures and views of two of NYC's iconic buildings, the Flatiron and the Empire State buildings. Join us for a day of sketching and then a bonus in the late afternoon. Afternoon Bonus: This Thursday marks the start of the Garment District Arts Festival featuring some of our own Urban Sketchers. In case you don't know about it, the old factory buildings in the Garment District are now being used as artists' studios. This weekend is the annual open house for the area. Join us on Thursday in the late afternoon as we walk over to the area to visit Laura and many others who will have their studios and work on display. We will meet at the entrance to the park on the corner of 23rd St and Broadway. TRANSPORTATION: N, R, Q, 4, 5, 6, F, M trains to 23rd Street Stations.